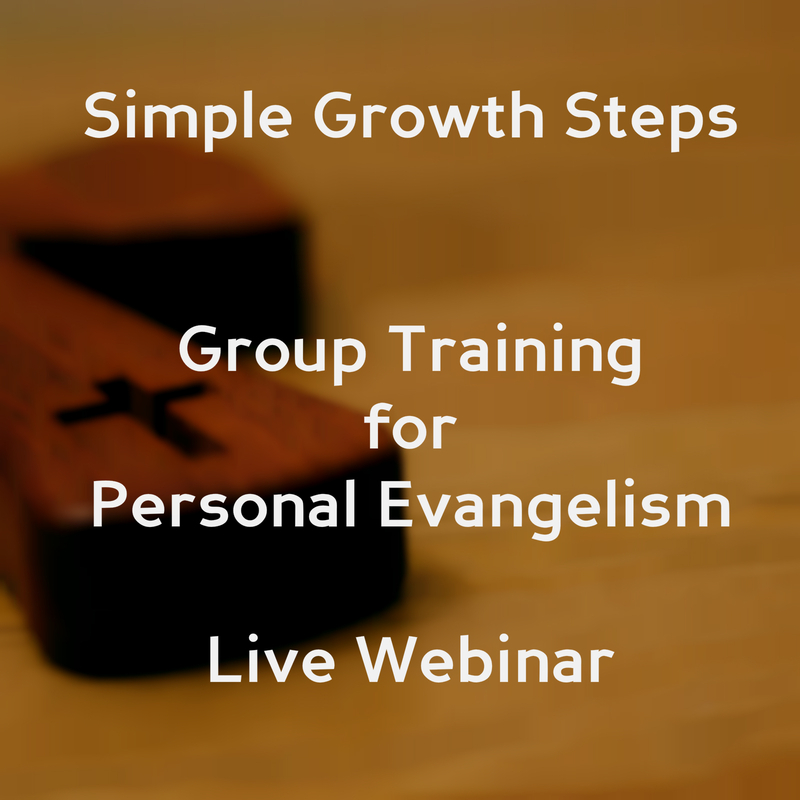 Do you want a personal evangelism training session for your team? Order a virtual conference on the night of your choosing. 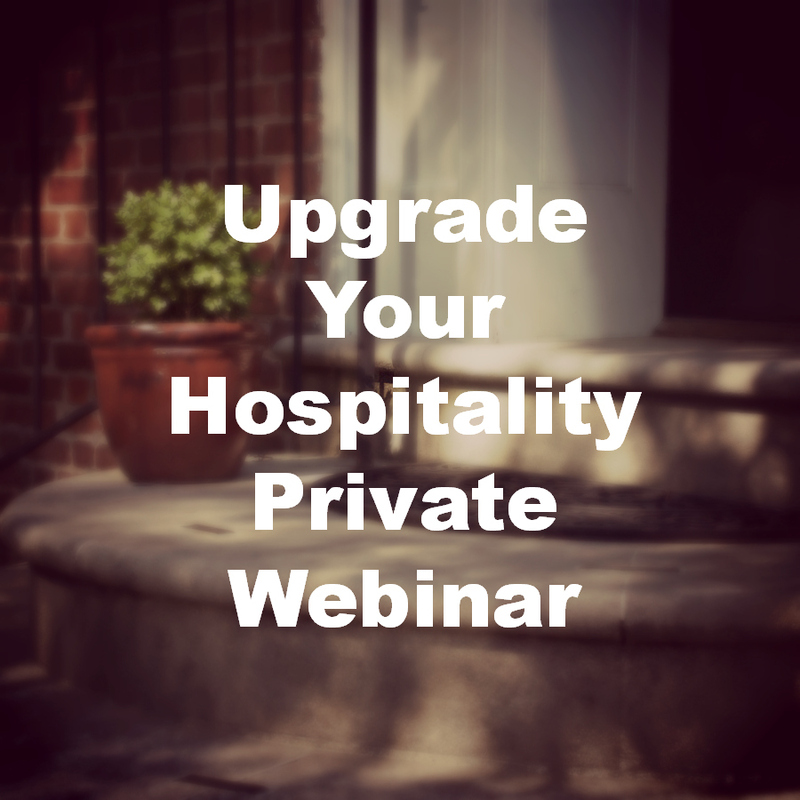 You’ll receive a live workshop via streaming video. 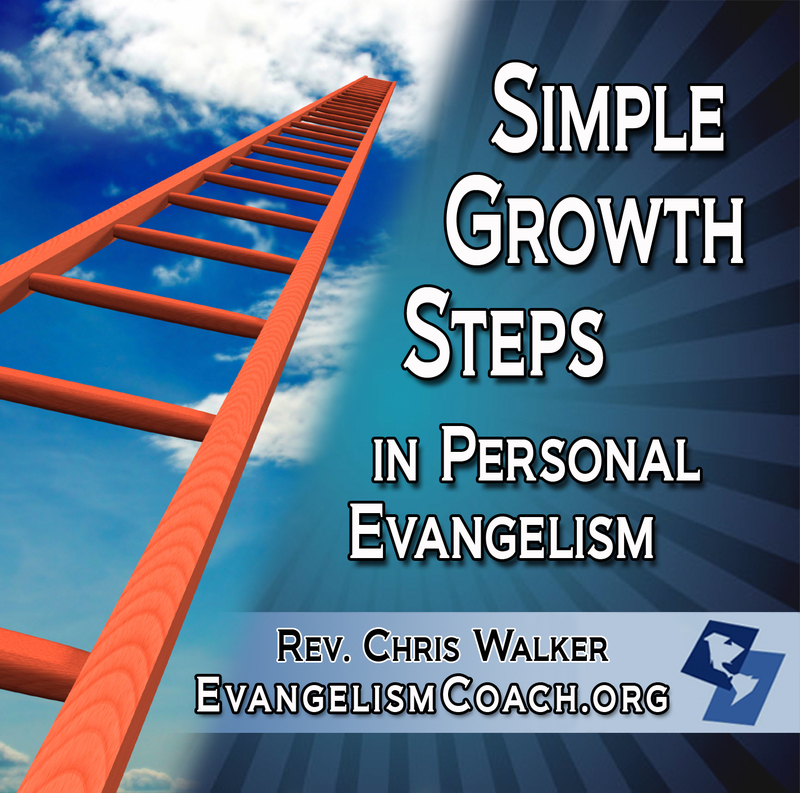 Where can I start in my growth in personal evangelism? What if I’m too scared to talk with strangers? Or better yet, where can I start? 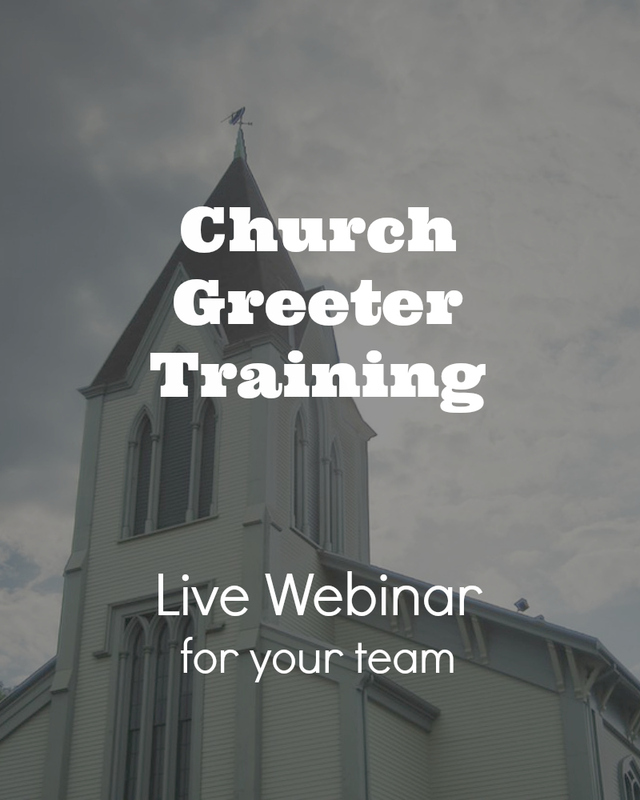 Now you can have this teleseminar for your church without having to work in my travel schedule. Via an online teleclass, you can have me provide live training from my living room to your church team without the cost or schedule of travel. 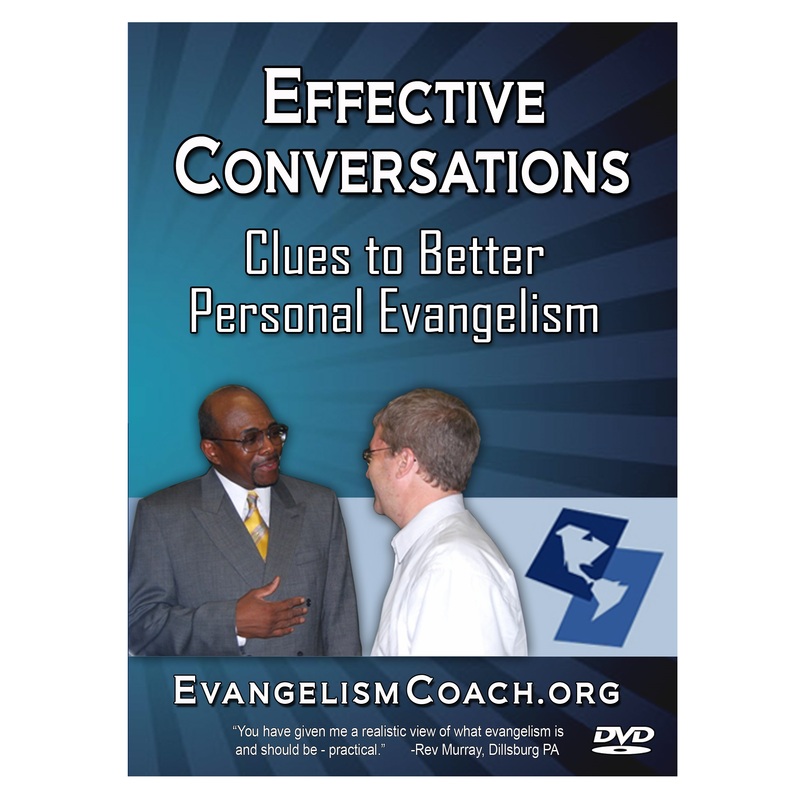 You’ll receive a copy of the recording to download a week after the gathering for re-use within your church. What does this online class look like? I wanted to thank you again for a great conference. Once we set a date, you publicize your meeting to your church and gather your volunteers. This format is online class where I present slides like the one next to this paragraph. There are discussion breaks which allows for creativity to flow among your volunteers as they share and compare. Related handouts in PDF format before the webinar for you to distribute. MP4 or WMV video recording to download and reuse. Planned for a two hour window, though the presentation runs about 90 minutes. Expect content, plus Q&A. Q. Can I gather our people in one place, or do they have to do this from their own computers? 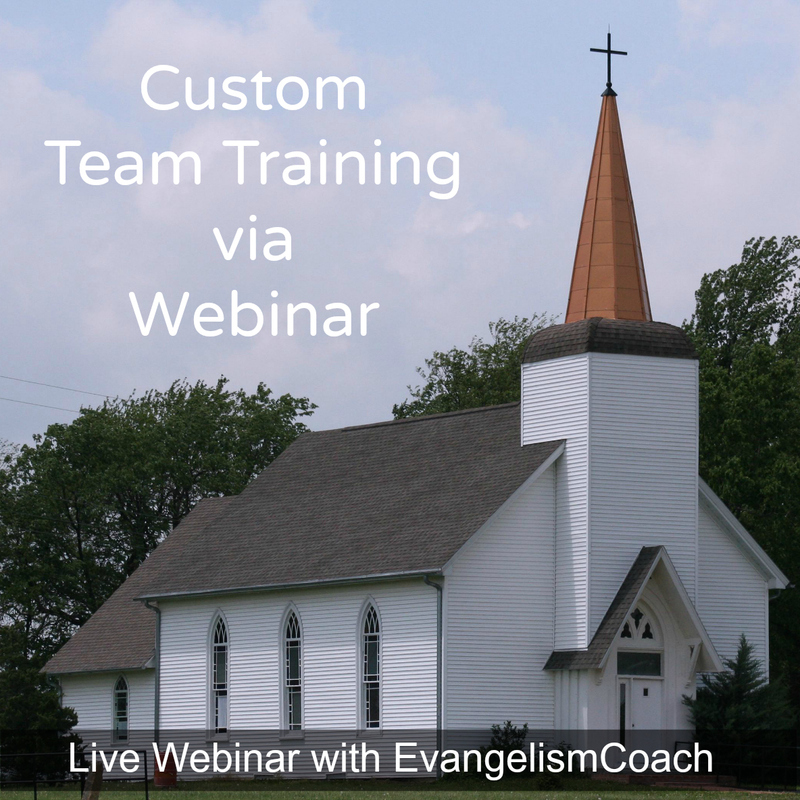 The best setup in this context is for you to gather your group in one central location and then you can supplement this private webinar with some fellowship time, and any further training you’d like to accomplish while your team is gathered. I can provide access information to those who wish to access this online or by telephone if they are not available. Q. If I gather people for a webinar, how do I setup the display and sound on my end? Q. Does our church have to be in the United States? No. Your church can be located anywhere in the world. The requirement is a high speed internet connection. Q. Can you do this workshop in Spanish? Yes. I speak a functional level of Spanish. I regularly teach and preach in Latin America. Though I still commit errors of grammar, I can teach in Spanish with the occasional help and correction. Thank you so much Chris!! I feel that our Evangelistic Team “Hope to Destiny” are more equipped and confident than ever to go out and share the gospel with our community! Everyone is very motivated and looking forward to our next outing! I Loved how laid back and relaxed the webinar was, didn’t feel like a lecture! You made us laugh, think and grow! You rock!